I’m glad he didn’t retire for long. I am talking about one of my favorite directors, Steven Sodrerbergh who had one of the shortest breaks I’ve ever seen! One second, he was off painting, the next second he was returning to the director’s chair! I think the thought of him painting all the time was just the idea of doldrums. Right after his “supposed” retirement, “Soderbergh returned to the director’s chair, shooting the Michael Douglas Liberace biopic for HBO. In 2013, he directed “Behind the Candelabra for the network. Going back to “Logan Lucky,” Sodrerbergh re-teams with Channing Tatum who starred in his “Side Effects,” (2013), 2012’s “Magic Mike” and its sequel in 2015. The plot for “Logan Lucky” deals with brothers Jimmy Logan (Channing Tatum) and Clyde (Adam Driver) who want to rob the racetrack in Charlotte, the Coca Cola 600, an annual sport scar race. 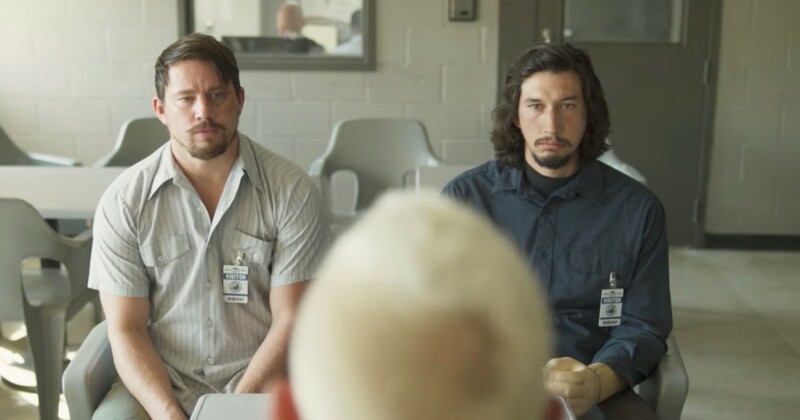 “Logan Lucky” contains the same dry wit and sardonic humor present in his past pictures such as “Ocean’s Eleven” and “Out of Sight,” one of my absolute favorites from the 1990’s era of filmmaking. Also in the cast are “The Family Guy” creator Seth MacFarlane, Oscar winner Hilary Swank, Katie Holmes and Riley Keough. Holmes is Bobbie Joe Chapman, Jimmy’s ex who deals with his shenanigans, both good and bad. What is also cool is that Sodrerbergh shots his own movies as well. He uses the pseudonym “Peter Andrews.” He has done this for years, even going back to 2000’s “Traffic,” for which Sodrerbergh received best director honors at the Oscars. Sodrerbergh directed two of my favorites in the 1990's with the little seen gem “King of the Hill” wherein the hero, Aaron (Jesse Bradford) thinks on his toes deals with the Great Depression in St. Louis, circa the 1930's era. The other is the awesome “Out of Sight,” originally written by crime writer extraordinaire Elmore Leonard. In 1998, I had it as my no. 1 of the year. The chemistry between leads George Clooney and Jennifer Lopez was just sheer amazing to me. This gem has the same dry wit and wordplay present in the Soderbergh’s “Ocean’s Eleven” remake in 2001. Life is not to be taken too seriously. Just sit back and let the joy and sorrows come with time. In “Ocean’s Eleven,” both Brad Pitt and George Clooney get emotional when watching a segment with Oprah Winfrey, making each of them get choked up with tears. Even though the box office has been dismal as of late for this gem, trust me and invest in a ticket to see this gem because you will leave the theater smiling and enjoy talking about it on the way home.